So Summer finally seems to be here and at such times lighter, fresher wines seem to be the order of the day. I never actually go on a pic-nic, but my mind always turns to the sorts of wines that would be great with one at this time of year. 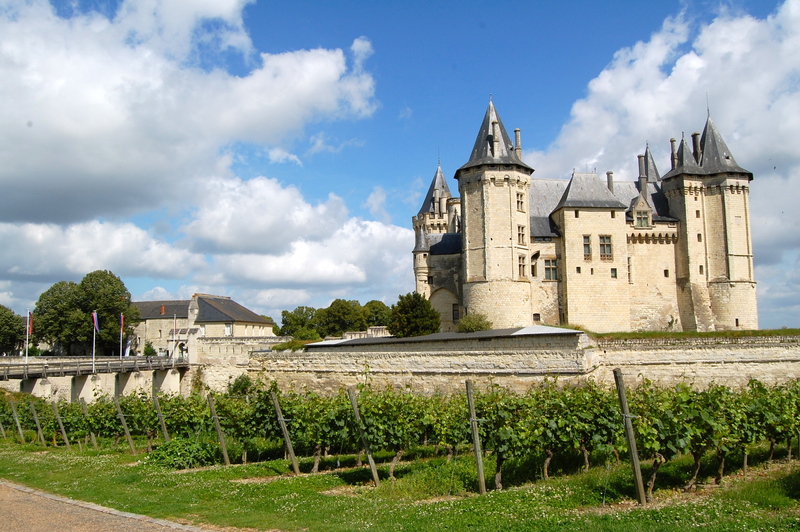 Recently I have been showing quite a lot of Loire Vally wines at consumer events – I was also thinking bout the Loire because of my travel guide of the region – and it struck me that the wines of the Loire are often just right to go with eating outdoors, whether a proper picnic, or sitting in the garden. 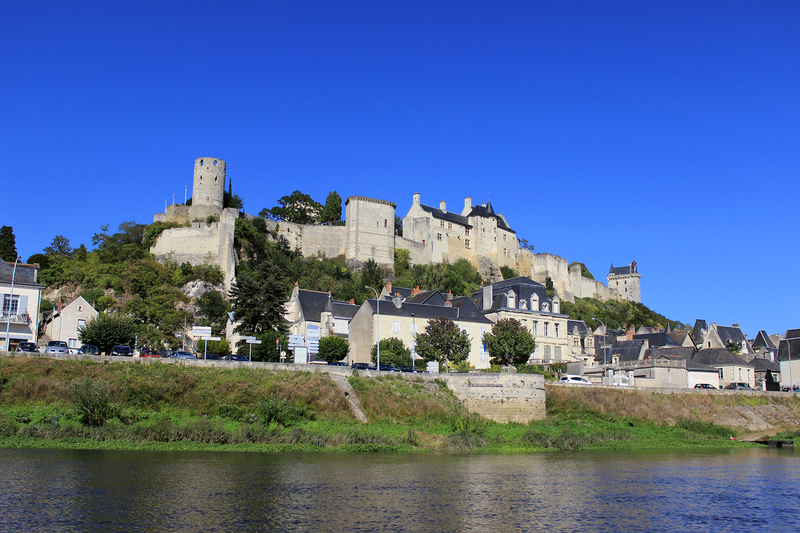 The Loire of course produces many different wine styles along its banks, but by and large they are fresher rather than richer, so they feel light and easy to drink even in warm weather. This makes them more refreshing too. I really enjoyed showing a range of sparkling wines from the Loire valley at the recent Three Wine Men event in London. I don’t think that Sparkling wines, other than Champagne and Prosecco, get enough attention. There are so many lovely sparkling wines out there from all sorts of places and sometimes you simply do want Champagne or cannot justify the cost of Champagne. I certainly liked all of these and think they are well worth seeking out. While pretty much every wine producing country makes good sparkling, France makes something of a speciality of it with nigh on every region making quality sparkling wine, many of them are called Crémant followed by the name of the wine region. By this I mean a sparkling wine made fizzy by the traditional method as used for Champagne. Indeed any French sparkling wine with an appellation d’origine contrôlée (AOC) or Protected Designation of Origin (PDO) – call it what you will, they are the same thing – must be made fizzy by the Traditional or Ancestral Method. The Ancestral Method / Méthode Ancestrale is an older more primitive version of what became the Traditional Method. 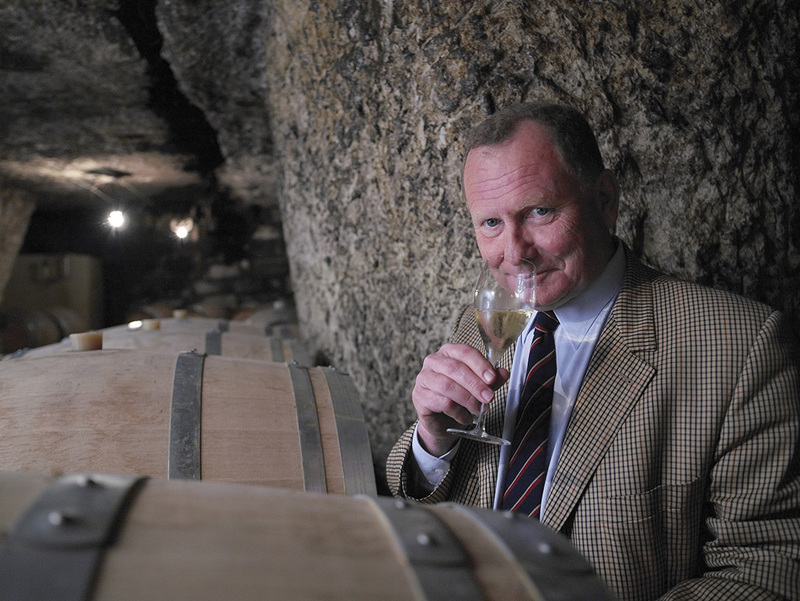 The wines can also be called Pétillant Naturel, or even Pét-Nat by the hipster community, and unlike Champagne etc. the yeast is left in the bottle instead of being removed and this often leaves the wines cloudy. 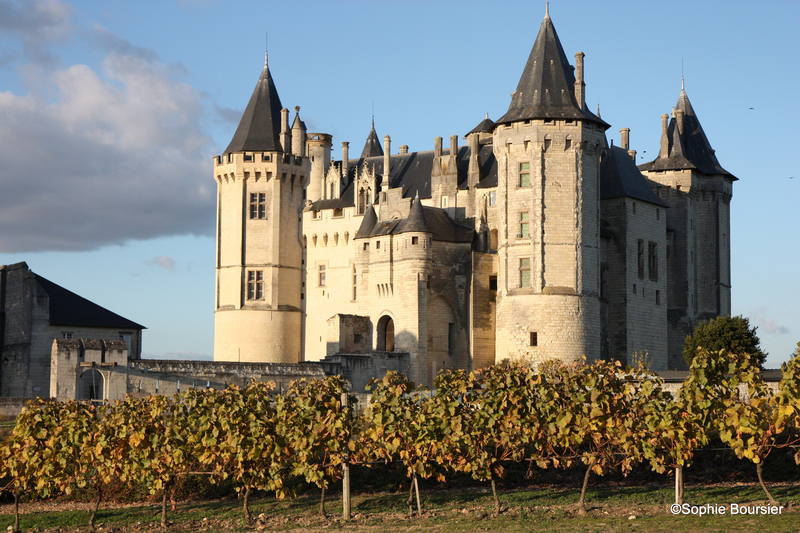 When making a sparkling wine, what you need most is acidity to make the finished wine fresh and lively and the Loire uses a grape that delivers plenty of this freshness – Chenin Blanc. 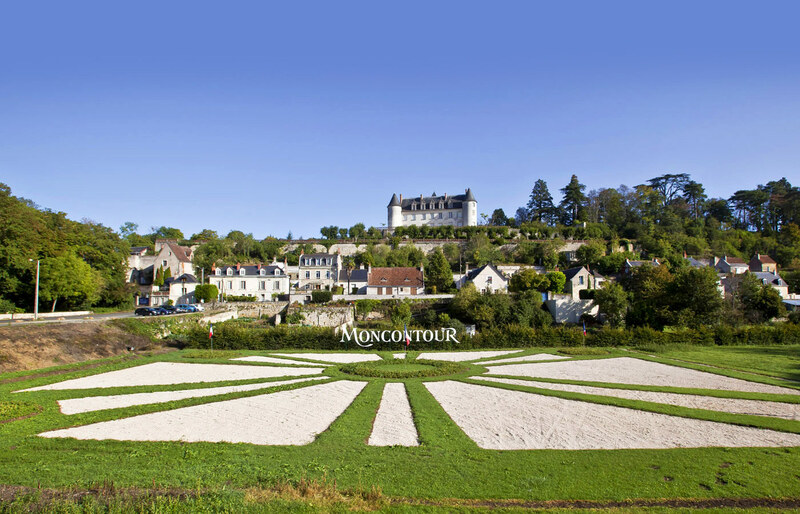 Monmousseau is a large producer founded by Alcide Monmousseau in 1886 when he turned a large quarry, previously a source of building stone for the the Châteaux of the Loire, into a cellar for ageing sparkling wine. 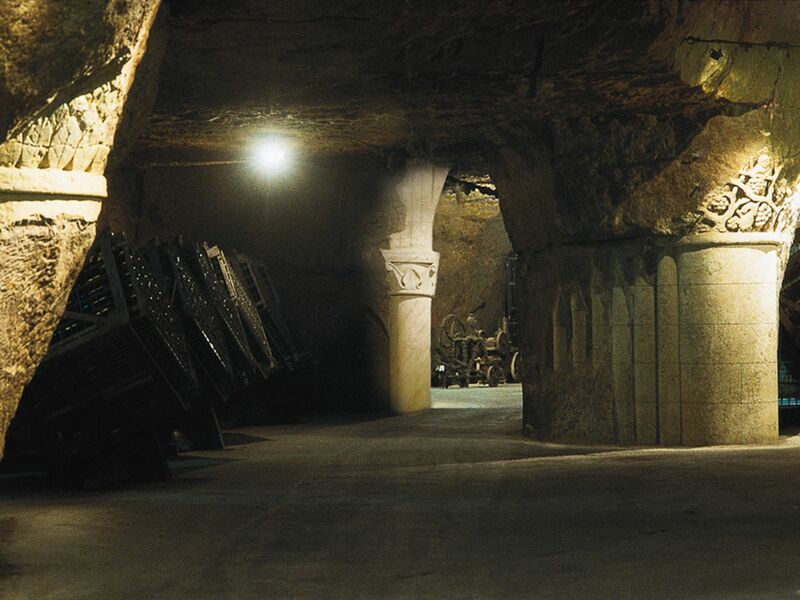 This quarry became a network of 15 km of galleries that are remain at a constant 12˚C, the perfect temperature to age wine. 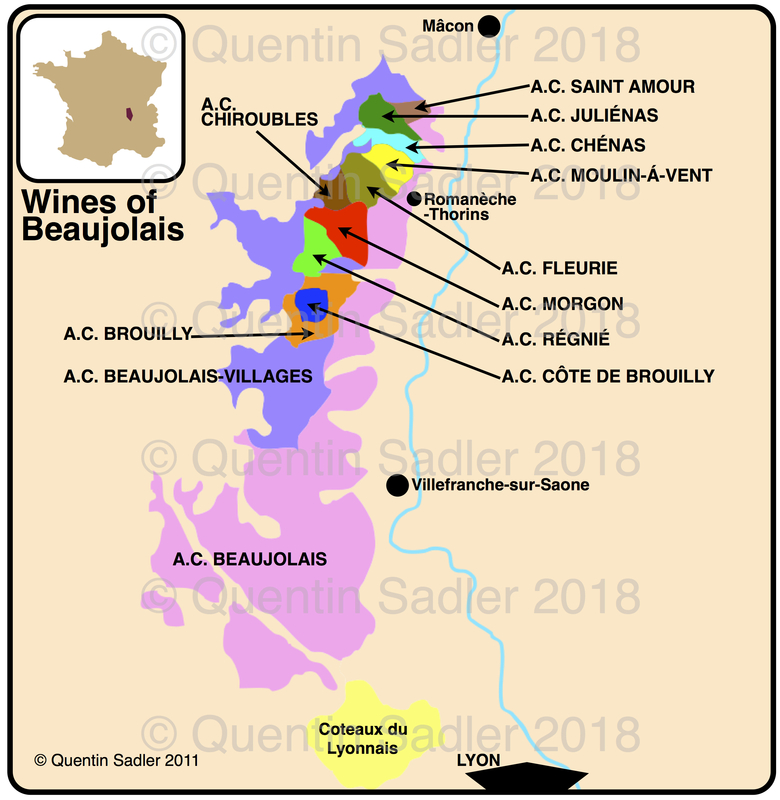 This wine is one of their top sparklers – named in honour of Justin-Marcel Monmousseau, the nephew and heir of Alcide Monmousseau – and is made from a blend of 80% Chenin Blanc, the typical grape for Loire Valley sparklers, and 20% Chardonnay. It is aged on the yeast sediment (lees in English / lies in French) left over from the second fermentation in the bottle, for some 24 months. This ageing on the yeast sediment gives the classic complexity of yeast autolysis, biscuit, brioche, flakey pastry and sometimes caramel too. The aromas are light and fresh with green apple, citrus and jasmine flowers and a little touch of digestive biscuit. The palate is crisp and taut with fresh, clean acidity, apple and lemon fruit together with some chalky /earthy / minerality – it grows in chalky soils – and a touch of biscuity richness on the finish. A very nice, well made sparkler that would be perfect as an aperitif or served with anything light. It met with wine approval when I showed it recently – 88/100 points. Another Touraine producer that started about the same time as Monmousseau in fact in 1885. It is now run by the fifth generation of the same family, but until 1970 was mixed farm whereas now the focus is purely wine. Since 1998 it has been run by Anne-Sophie Penet and her Burgundian wine maker husband Frédéric Meurgey. This Cuvée is their top sparkler and is made from 75% Chardonnay with 25% of the little known Arbois. I do not know how long it is aged on the lees, but it seems like it was quite a long time to me. This is a richer, deeper more serious sparkling wine with a richer, nutty, brioche-like aroma together with peach and apple. The palate is again rich and rounded with a softness and a feeling of dry honey and apple strudel. This is a superb sparkling wine, full of character and flavour. It makes a sophisticated, intimate aperitif or would go beautifully with rich fish dishes, rice dishes and white meat – 92/100 points. 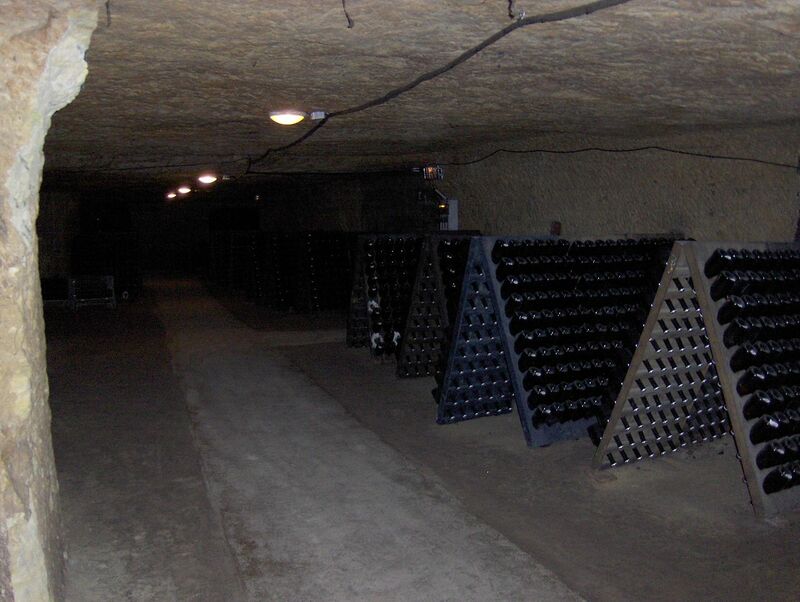 Vouvray cellars dug into the rock. 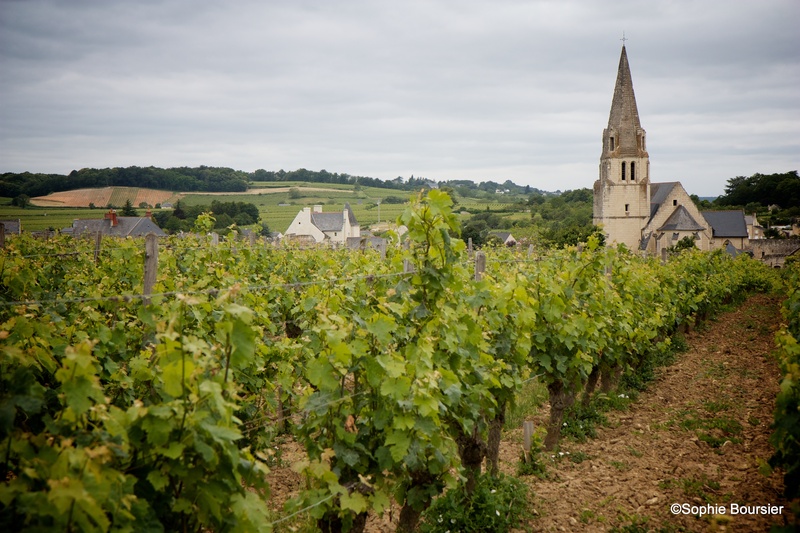 An exemplary estate in Vouvray, Domaine Vigneau-Chevreau was founded in 1875 and is farmed by the fifth generation of the Vigneau-Chevreau to make wine here. Over that time the domaine has expanded from 5 to over 30 hectares and is one of only two biodynamic producers in the area. This wine is, as always for Vouvray, 100% Chenin Blanc, has less fizz than normal sparkling wine – full sparkling wines are Mousseux, this is Pétillant – and it is aged on the lees / yeast sediment for 18 months. This carries its ageing week as it is a light, lithe and precise wine with aromas of pear, apple and citrus and a palate of crisp green apple, richer pear and a hint of apricot and quince. The acidity and minerality make it a mouthwatering aperitif and a bright aperitif – 91/100 points. Roberts & Speight, The Solent Cellar, David Bell McCraith and Wood Winters – more stockist information is available from Thorman Hunt & Co Ltd. The beautiful Chateau de Moncontour. A very old estate, this was purchased by the Feray Family in the 1990s and it has never looked back. Again 100% Chenin Blanc, this is a Cuvée (blend) made from the best fruit and aged for around 18 months on the yeast – although it tastes like it was aged longer. Yeast autolysis dominates this wine, it even smells of toast – yeast / lees can give a good impression of oak sometimes. Rich pear, cooked lemon, quince, honey, apple compote are all here as well as some frangipane / bakewell pudding sort of character making it feel pretty rich and flavourful, although the brisk acidity certainly cleanses the palate making it balanced. An intriguing wine that I enjoyed very much – 90/100 points. So you see, further proof that there is much more to sparkling wine than just Champagne, Cava and Proseco. The sparklers from the Loire are very varied in style and often very good indeed.